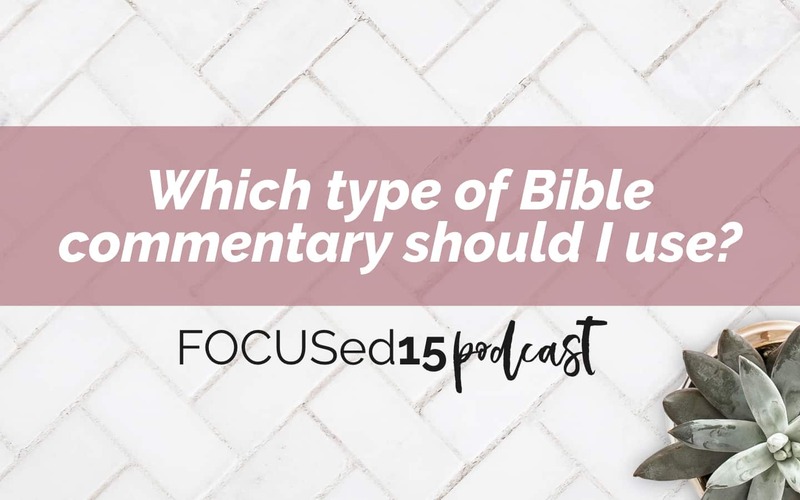 LISTENING NOW: Which type of commentary should I use? Christ Centered Expositional Commentary series – We love this series! It is geared toward the pastor BUT I (Katie) find it very readable, relatable, and helpful! 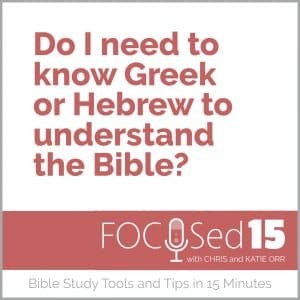 A great resource for any book of the Bible. Includes all the basic info you would need to know about a book (author, audience, aim) and more. https://katieorr.me/wp-content/uploads/2017/08/taking-Bible-literally-1.jpeg 900 1440 Katie https://katieorr.me/wp-content/uploads/2018/11/bible-study-for-women-6-1.png Katie2018-07-02 04:45:182019-04-01 11:46:09Which type of Bible commentary should I use? 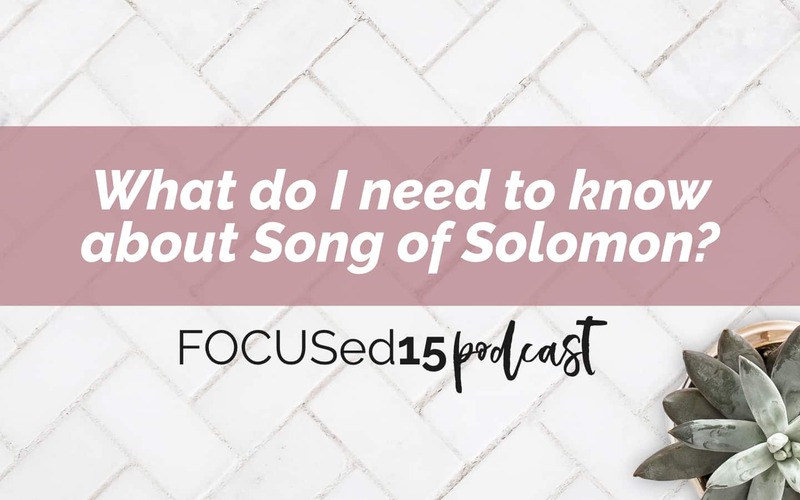 The author, audience, and aim of Song of Solomon. Chris’ thoughts on the male lover debate – who is the main character in the book? Why did Solomon write this book and why is in included in Scripture? Author – Audience – Aim: Find the worksheet in the resource library! Subscribe to the free Enjoy the Word membership for access. Precepts Austin – This is a TREASURE TROVE of resources for the entire book of Bible. 1. Listen right here on the blog. Just click the little play button below. 2. Listen from an app on your smartphone, iPad or iPod– For iDevice users, click here to access the podcast and subscribe in iTunes. If you don’t have an Apple device, you can listen with the Stitcher app. You’ll have access to new episodes on either app as soon as they are published. There are links to additional options below. https://katieorr.me/wp-content/uploads/2017/08/taking-Bible-literally-1.jpeg 900 1440 Katie https://katieorr.me/wp-content/uploads/2018/11/bible-study-for-women-6-1.png Katie2018-06-25 19:38:562019-04-01 11:46:10What do I need to know about Song of Solomon? Studying the Bible can be complicated. And especially if you are new to the Word of God, there are features in your Bible you may be missing out on. In this 15 minutes episode we chat through what the itty bitty super-scripted numbers and/or letters that may be in your Bible. They’re there for a reason! I’M LISTENING TO: What are the little numbers in my Bible? What are all the little letters and numbers in the Bible? WHY they are in our Bibles. How cross-references lead us to those “ah-ha!” moments. Helpful tools to use for cross-referencing. Plus a personal update from Chris and Katie! https://katieorr.me/wp-content/uploads/2017/08/taking-Bible-literally-1.jpeg 900 1440 Katie https://katieorr.me/wp-content/uploads/2018/11/bible-study-for-women-6-1.png Katie2018-06-15 05:15:222019-04-01 11:46:10What are the little numbers in my Bible? 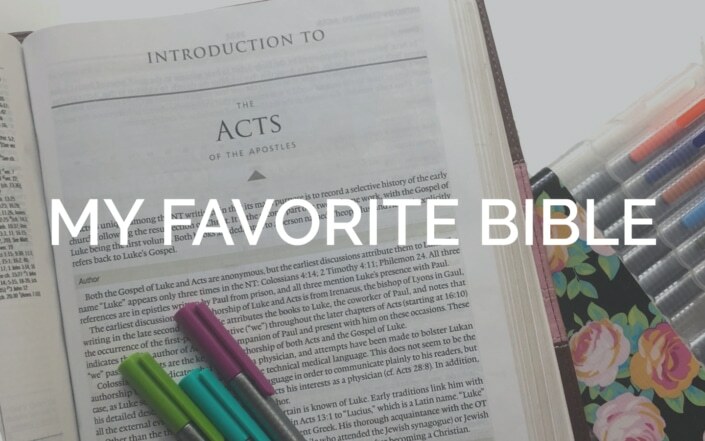 Today we tackle how to incorporate praying while we study the Bible. There are many potential ways to do this. In this 15 minute episode, Chris and I share what works for us! 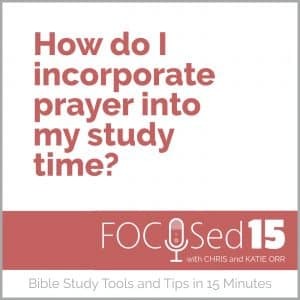 I’M LISTENING TO: How do I incorporate prayer into my study time? “Open my eyes, that I may behold wondrous things out of your law” (Psalm 119:18 ESV). 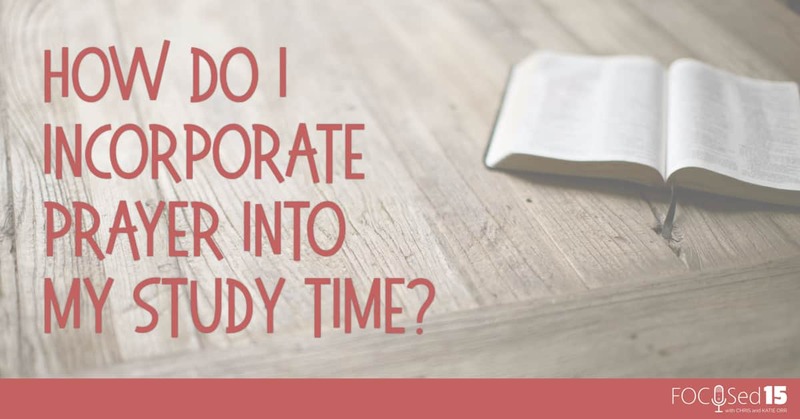 Before you begin to study, take a moment to ask the Spirit to illuminate your time in the Word. Approach God’s Word with a HUMBLE heart. “Then he opened their minds to understand the Scriptures” (Luke 24:45 CSB). When you come to a verse you are uncertain what it means, ask God to open your mind to understand it! Study God’s Word with a DEPENDENT spirit. “But be doers of the word, and not hearers only” (James 1:22 ESV). Once we’ve identified the main idea of what we are studying, we need modify our lives to what we’ve learned. Leave God’s Word with a posture of RESOLVE to obey what we’ve seen. 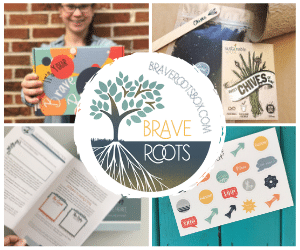 Val Marie Paper – These are the prayer journals I use. I CAN’T WAIT for the 2018 journals to get here. I’ve pre-ordered mine!! https://katieorr.me/wp-content/uploads/2017/09/Prayer-Bible-study.jpeg 628 1200 Katie https://katieorr.me/wp-content/uploads/2018/11/bible-study-for-women-6-1.png Katie2017-09-25 04:12:272019-04-01 11:46:25How do I incorporate prayer into my study time? From the ideals promoted in the “Proverbs 31 Woman,” to the promise of Proverbs 22:6 (Train up a child in the way he should go and when he is old, he will not depart from it.) there is much we can glean from the book of Proverbs. Yet many struggle to understand exactly how to apply these wisdom sayings to everyday living. In this 15 minute podcast episode, we chat about some of the important principles to keep in mind as you study this book of wisdom. 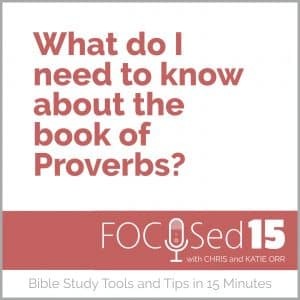 LISTENING NOW: What do I need to know about Proverbs? 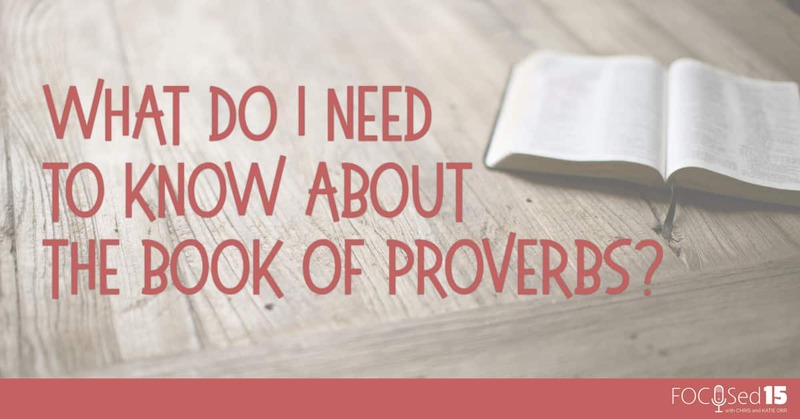 What do I need to know about Proverbs? AIM: To provide wisdom from God for everyday life. The wisdom found in Proverbs is intended to be general principles, not guaranteed promises. The Proverbs should be read like poetry, with imagery present. Not everything can be taken literally. Make sure any potential interpretation from a proverb can be confirmed by the rest of Scripture. Listen in to the podcast for more tips! https://katieorr.me/wp-content/uploads/2017/08/pexels-photo-256273.jpg 750 1000 Katie https://katieorr.me/wp-content/uploads/2018/11/bible-study-for-women-6-1.png Katie2017-08-28 03:58:012019-04-01 11:46:26What do I need to know about the book of Proverbs? 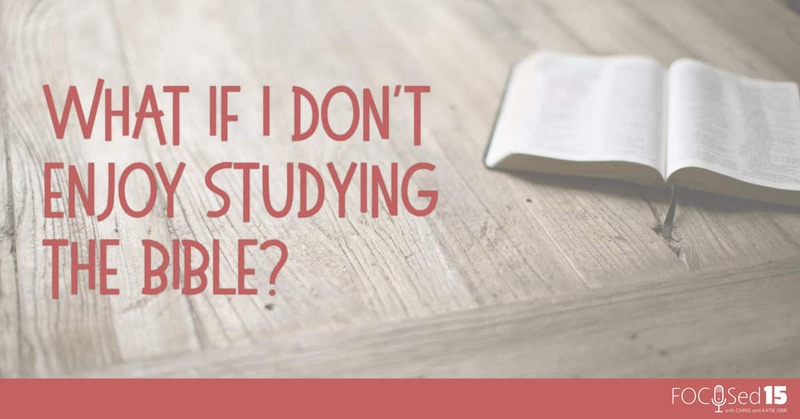 Ever been in a place where you don’t have a desire to study the Bible? If this is you, you are NOT alone. This is a common struggle every Christian has dealt with. In this quick 15 minute episode, Chris and I share a few reasons WHY this might be the case, as well as several practical steps to take in order move forward! 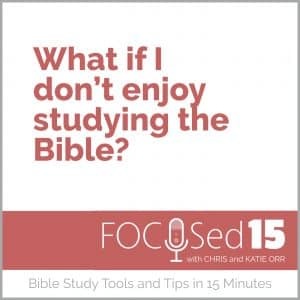 LISTENING NOW: What if I don’t enjoy studying the Bible? 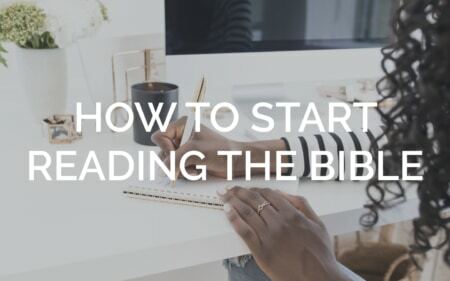 There are many potential reasons for why we may not enjoy reading the Bible, but here are three of the most common reasons why many find it hard to open the Word. Running and hiding – All too often, our response to our failures is to run away from God. Instead of experiencing the mercy of God by drawing near to the throne of grace, we believe the lie that it would be better to hide our sin and keep our distance. Spiritual pride – Some get to the point where they feel they’ve read it all and have answered all the big questions they’ve had about the Bible. The felt need for learning more and knowing God better has diminished. Comparison to a past spiritual high – Sometimes we open our Bible and we feel God speaking in incredible ways. This often happens when we first come to Christ, or while attending a conference or retreat. It is exciting to feel the sudden stirrings of a truth that changes everything for us, or a much-needed comfort of a promise delivered during a time of need. But these “feel-good” moments do not occur every time we approach Scripture, and it is easy to get stuck feeling like time in the Word is not worth it if we don’t immediately feel something. So, we’ve all been there. Now what? Here are 6 actions to take if you find yourself lacking a desire for Scripture. Be encouraged! The fact that this lack of desire bothers you is a good sign. God is working in you! Pray. It is God’s will for you to be in the Word. If you ask Him to grant your heart a longing for time in the Bible, He will answer that prayer because that request is in line with God’s will. Act in faith, not on your feelings. Feelings are deceptive and poor guides. Move ahead in obedience, with the expectant faith that God will answer your prayer to stir up a passion for His Word. Quit comparing. In the age of Pinterest, it is easy to fall into the trap of feeling that our time in the Word needs to look like so-and-so’s. Though it can be helpful to see how others spend their time in the Bible, we must not give into trying to one-up what everyone else is doing. Manage your expectations. We must let go of the thought that our “quiet times” must be a certain length, depth, and with a particular ambience to be worthwhile. Have 1 minute? Take it. Not exactly sure what to study? Start somewhere. Have no idea what you just read? Trust that the Holy Spirit will open your eyes to what you need to see, when you need to see it. His Word does not return void. Any time in the Bible is good. Remember. Recall what is true about God and who you are because of Christ. God is not going to reject you because you don’t always want to open your Bible. His acceptance of you is not dependent on your actions. Preach the gospel to your heart and remember that you are loved unconditionally. 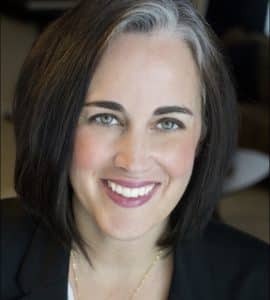 https://katieorr.me/wp-content/uploads/2016/12/coffee-flower-reading-magazine.jpg 750 1125 Katie https://katieorr.me/wp-content/uploads/2018/11/bible-study-for-women-6-1.png Katie2017-08-14 04:47:392019-04-01 11:46:26What if I don't like studying the Bible? Have you read a verse and not been sure how to take it? Every wonder of something you are studying should be taken figuratively or literally? Some passages are pretty clear. Others are not. Listen in to this 15 minute episode for a few tips to help you move toward a better interpretation (and thus, application) of these tricky passages. 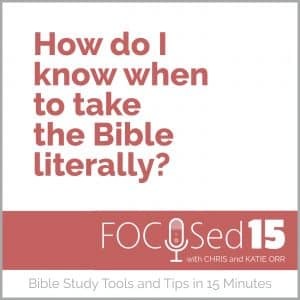 LISTENING NOW: How do I know when to take the Bible literally? Keep in mind the genre (type of writing) and the context. This goes back to our three “A”s. Audience: Who are they writing to? Aim: Why are they writing it? When reading prophetic Scripture, know that there are Godly, educated, (way) wise(er than us) scholars who differ on their interpretations … so if you are unsure if a certain passage is literally or figuratively speaking of what is to come, you are probably not going to be able to figure it out either. When it comes to moral issues and daily practice issues, cultural and contextual clues must be considered. When you encounter a teaching that is also taught frequently and clearly in other places in Scripture, then we can apply the Bible literally to our lives. If something is taught sparingly and is unclear, we ought to look at the PRINCIPLE behind the command, instead of the SPECIFICS of the actions. Go to your pastor (or small group leader) if you have questions. He will LOVE it! The IVP Bible Background Commentary – If you do think something is figurative instead of literal, this resource will help you see the meaning of the words through the eyes of the original audience by spelling out the cultural significance. 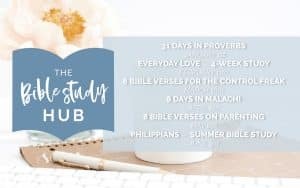 https://katieorr.me/wp-content/uploads/2017/08/taking-Bible-literally-1.jpeg 900 1440 Katie https://katieorr.me/wp-content/uploads/2018/11/bible-study-for-women-6-1.png Katie2017-08-07 05:15:202019-04-01 11:46:26When should I be taking the Bible literally?